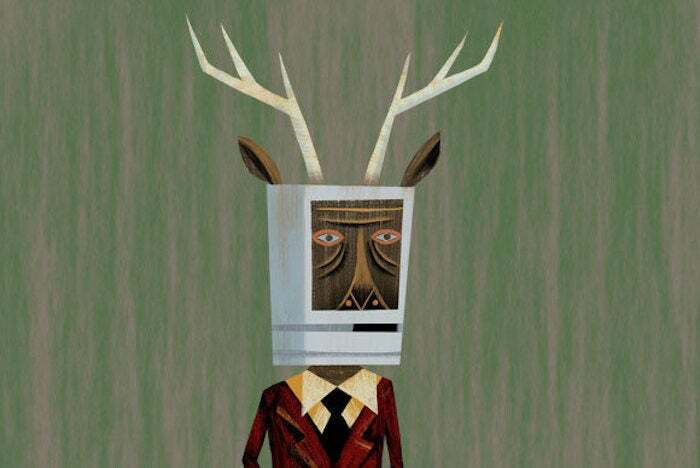 The Macalope isn’t sure why every Apple problem has to be existential in nature, but rest assured that someone somewhere will declare that they each are, from failure to prep a Mac Pro in a reasonable amount of time to discontinuing iPod socks. The best way to show that something is completely ruined is to link to someone else who says it’s completely ruined. …my colleague Jason Perlow did a great job of highlighting how the platform was getting in the way of him getting things done. Ah, well, as long as we’re just linking to things, allow the Macalope to just link to himself from a couple of weeks ago discussing what was wrong with Perlow’s piece. There. That’s taken care of. The horny one doesn’t know how one wins this game of just linking to things to prove them but he’s quite sure he’s playing it perfectly. Seems to be a bit like tennis. Kingsley-Hughes says iOS’s troubles are nigh unprecedented. Let’s take a look at InfoWorld’s review of Windows 8: Windows 8 review: Yes, it’s that bad. This is really not even comparable. Even when Apple shipped its most controversial iOS update with version 7, most things worked the same. Windows 8, on the other hand, was an Island of Doctor Moreau-esque attempt to graft tablets and desktops together; almost no one liked it and Microsoft has only finally sorta gotten it usable with Windows 10. As someone who has used Windows 3.1, Windows 95, Windows XP, Windows 7, Windows 8 & 8.1, and Windows 10 in professional and personal settings, agree to disagree. ZDNet’s Mary Jo Foley might also take exception. Epstein flatly says Kingsley-Hughes’ sole complaint about performance, dropped frames, and stuttering that no one seems to have noticed, is a non-issue. Since we are linking to things to prove them, the Macalope will add that ZDNet’s Liam Tung called the Apple A11 Bionic chip “by far the highest-performing system on the market.” Kingsley-Hughes’s other complaints are stability and bugginess (for the latter he links again to Perlow’s piece) which are apparently two separate things. Next we will hear about how annoying it is that iPhones are both flammable and inflammable. iOS usability is now garbage. In the interest of time, the sole example he offers of said garbageness is Control Center. Epstein’s conclusion admits iOS has some problems (it does, of course), but puts it in the proper perspective. Does iOS have bugs and usability issues? Hell yes, it does. Is the platform in a state of disrepair that is any more severe than any other mobile OS or desktop platform? Nope. Is iOS so far gone that there’s no way Apple will ever be able to fix it? That is easily the stupidest notion I’ve heard in a long time. Why is it so hard to write about Apple problems without making an unbelievable fuss? Sociologists are at a loss to explain it. People who work in web traffic have some ideas, though.